I can’t remember when or why I first picked up my copy of Watchmen other than it being some time before the 2009 film adaptation. I don’t say that to make myself out to be a more worthy fan of the book, it’s simply my only point of reference. Watchmen seems to be a novel that, once read, can never again be separate from your life. Though I know I didn’t, I feel like I grew up with the characters and have memorised dialogue for decades. Perhaps like one of its leads, Watchmen exists in the past, present and future simultaneously. Hopefully, that’s not the only superpower that rubs off on readers. 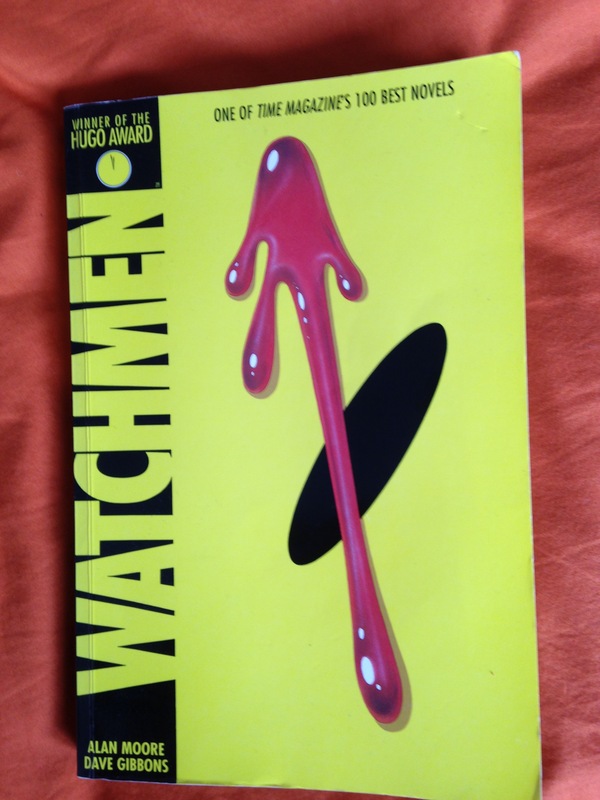 First published in 12 issues over 1986 and 1987, Watchmen is often considered the best graphics novel ever created. As well as traditional comic book panes, the first 11 chapters include supplemental material published within the fictional Watchmen universe. Watchmen follows the lives of a group of superheroes in an alternate 1985. Following the murder of one hero, we follow the investigation through the eyes of his former colleagues. Weaving through time periods, the narrative builds layer after layer of drip-fed information about each character, whilst pushing forwards as the world tries to avoid nuclear war. By far one of the best pieces of fiction ever created, Watchmen is a masterpiece of storytelling and design. Complex, deep and morally ambiguous, it tackles questions most stories would never mention. It offers all sides of society a mirror but no judgement. Moore and Gibbons ripped the superhero comic to shreds with Watchmen and somehow made something even better from the remains. It’s next to impossible to choose a single highlight from Watchmen and no doubt each reader has their own view. For me, it’s the detail in Dave Gibbons’ artwork. Every re-read, even now, seems to reveal another secret. Whether it’s a newspaper headline flapping on the wind, the brands that seem to fit the world around them better than anything or the many echoes of the doomsday clock, each panel is a true piece of art. To me, all creativity is magic,” he says. “Ideas start out in the empty void of your head – and they end up as a material thing, like a book you can hold in your hand. That is the magical process. It’s an alchemical thing. Yes, we do get the gold out of it but that’s not the most important thing. It’s the work itself. That’s the reward. That’s better than money. Everyone should read Watchmen at least once. It’s one of the finest example of how stories and entertainment can transcend genres and formats to teach us about who we are. It’s great literature, brilliant art and essential reading. Alan Moore is the writer of many famous graphic novels, including Watchmen, V for Vendetta and The League of Extraordinary Gentlemen. Dave Gibbons has drawn the likes of Batman and Green Lantern.